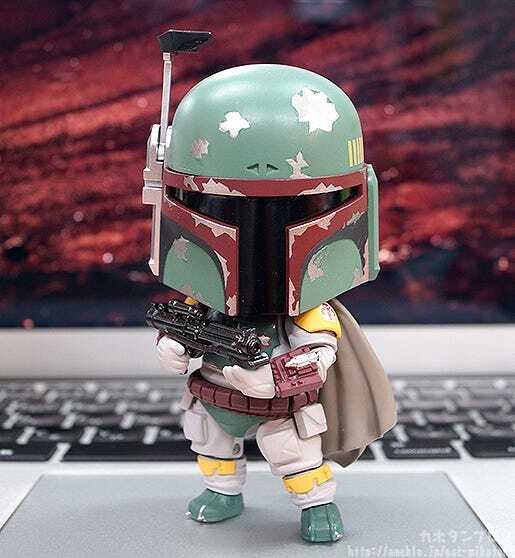 From ‘Star Wars Episode 5: The Empire Strikes Back’ comes a Nendoroid of the most famous bounty hunter in the galaxy – Boba Fett! 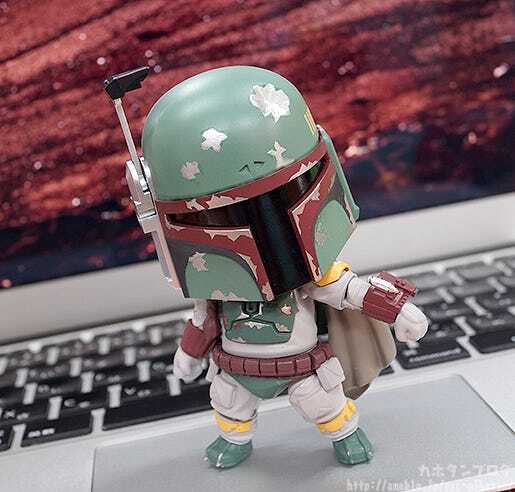 The Nendoroid is fully articulated allowing him to be posed in various different situations and poses, and his outfit has been faithfully converted into Nendoroid size with careful attention given to the rusted paintwork on his armor. 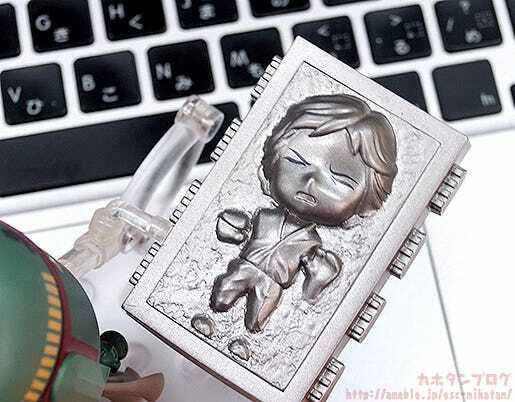 Optional parts include Han Solo in his carbon-freeze state together with a special stand to display the carbonite block floating through the air – be sure to display it together with the previously released Nendoroid Storm Trooper figures to recreate the full scene from the series! 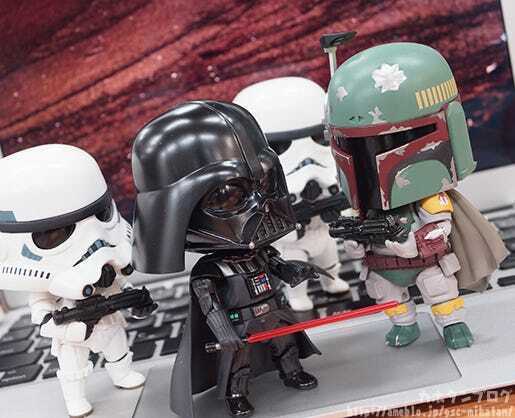 The Nendoroid allows for all sorts of fun and is intricately detailed for fans to enjoy in their collection! 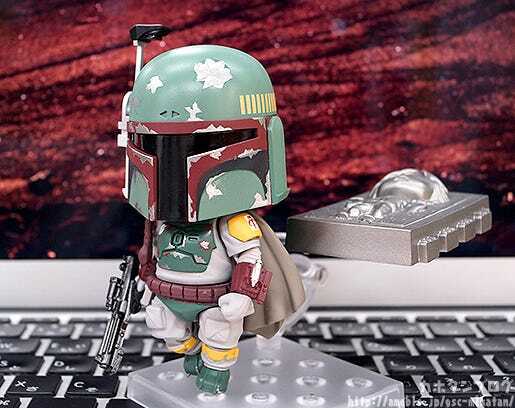 A Nendoroid of the world’s most famous bounty hunter! 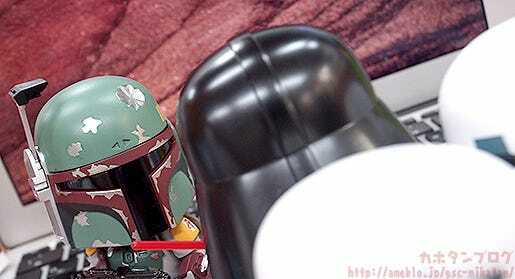 One of the most well-known and powerful bounty hunters in the Star Wars universe! 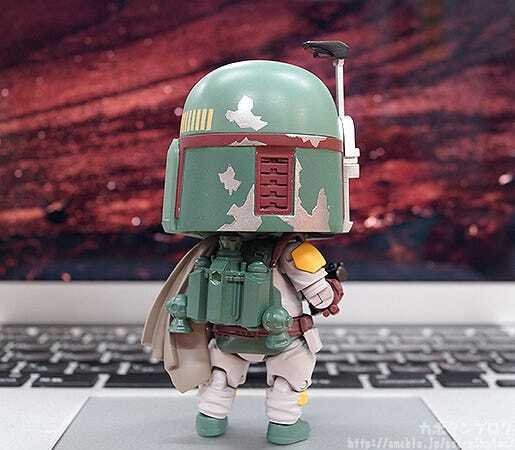 Boba Fett is joining the cute Nendoroid series of figures!! ▲ The canvas cape hung from his left shoulder is sculpted as if fluttering gently in the wind! All the smaller details of his outfit on the back, elbows and area around the knees have all been very carefully converted into Nendoroid size for fans to enjoy in their collection! Even in Nendoroid size there is something about him his design that keeps his stern, tough appearance in tact… while still also adding a somewhat cute look to him! Just look at that face filled with anguish!! 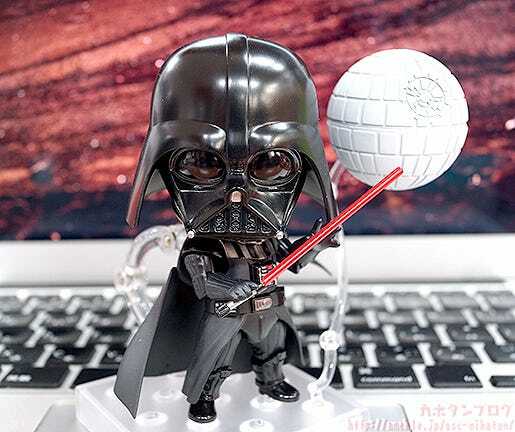 That suffocated appearance… who ever though we would get to see this in Nendoroid size?! ▲ From the side you can see how Han’s shape pops out from the plate! 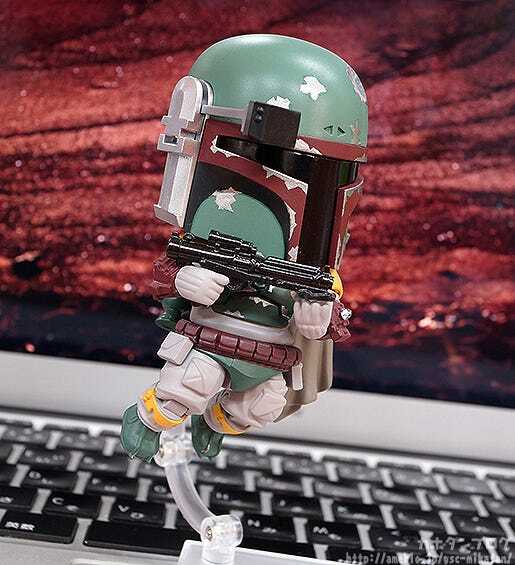 Be sure to add the cute bounty hunter to your collection! Also note that this product will be ‘Made in Japan’, at Good Smile Company’s ‘Lucky Factory’ in Tottori, Japan! *Please note that due to licencing restrictions this product is not available for purchase from our international partner shops or the English GOODSMILE ONLINE SHOP. I’m sure many fans will be making use of the weekend to go out and see it! !